Photo Credit: Kadir Kaba / CVAR. Used by kind permission. Marita Anastasi is a student at English School and an editor at KYPRIS news, a bicommunal news portal in Cyprus, ran by youth. Her interests include media and politics and is currently an intern at the Cyprus Community Media Centre – CCMC. The views expressed in this guest article are her own and do not necessarily reflect those of CCMC. Nicosia, 9th of July, CVAR/Severis Foundation. People started gathering in the main conference room, most of them middle aged, almost no sign of people under 25. By 18:35 Espen Barth Eide, Special Adviser to the UN Secretary-General on Cyprus, had already started his speech on the negotiation process regarding the Cyprus Problem. The people of Cyprus need to ‘overcome their grievances’ that was one of his first statements. He further expanded on his point by expressing the view that everyone has suffered in different ways. 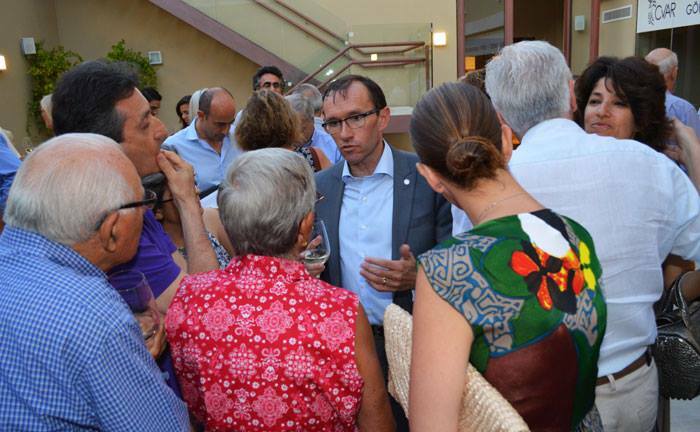 According to mr. Eide this is something that Cypriots should let go and instead focus on rebuilding what has been lost. He continued by asking the audience to consider ‘what solution do they want’, his lower tone this time indicating the importance of the question. As he continued he suggested that once this is decided, a long lasting solution will be closer than ever. It is such an irony though to notice on how firm his is on this argument, how essential he –as a UN envoy- believes that this is, whilst the Cypriot society completely lacks the infrastructure for such things to be implemented. Starting from the education system on both sides, it shares just one thing in common and that is its one-sided arguments. When it comes to history it is interesting to notice how Turkish Cypriots put so much emphasis on the 1963 events whereas they describe July 1974 as merely a ‘peace-making’ operation. On the other hand Greek Cypriots are oblivious to the crimes committed against Turkish Cypriots before 1974. At least in the Greek Cypriot-based education system for which I can comment, there is always a focus on how much this side has been wronged whilst most of the students will never experience a time where they will have to recollect on the wrongs that have been done by their own side. As a result, oblivious citizens are being produced. People who not only ignore but are actively refusing to recognise their own mistakes. He further highlighted that ‘the federation should work in a European context’ so that the solution will follow some regulations expected by every other country-member of the E.U. With an enigmatic smile he pointed out that in the possible scenario of a solution, Cyprus will technically have the most modern constitution in Europe. ‘So do we want a constitution that truly reflects the period it was written, or one that reflects ideas back from 1950’s or 60’s?’ he asked the audience. Another interesting point since it was just a couple of weeks ago that Turkish officials clearly stated that in their opinion, the negotiation process should continue with the involvement of guarantor countries –Greece, Britain & Turkey herself- and that the so long expected solution should continue to give rights to the guarantors. They are clearly missing the fact that Greece is simply exhausted in every way possible; politically, economically as well as socially and it is highly unlikely that it could play the role it was expected to, back in 1960. However it is more frustrating to witness the absence of mere commenting, on such ideas which have been officially stated, clearly indicated and are nothing less but a huge contrast to all that mr. Eide had described that evening as ‘European Context’. Which developed, European country of the 21st century needs guarantors after all. ‘Having one economy rather than two’, he added, will make our island realistically competent and will give actual prospects to everyone but especially to the younger generations. With his tone becoming lighter and sometimes even playful, as the talk proceeded mr. Eide concluded by expressing his enthusiasm for the strikingly positive atmosphere that has been created by the two leaders at the negotiations so far. However he highlighted that despite the good will that exists, ‘we are not there yet’. As soon as he ended, the most interesting part of the evening, which was of course the questions directed to mr. Eide by the audience, began. One of the first questions was about the role of Turkey in the process. His answer was along the lines that Turkey wants a solution and that he as an envoy is continuously in touch with Turkish officials, with the ultimate goal being a high quality communication. Generally he avoided giving out information regarding the crucial issues of property and demographic changes. Taking advantage of a question regarding the effect of a possible solution in the broader geographical are of Cyprus, mr. Eida said in an even more friendly tone that ‘the neighbourhood you’re (Cypriots) living in doesn’t look very nice!’. Having this in mind, he said that a solution to the Cyprus problem is not only the desire of its own people but also that of people from Middle East as well as Europe and the US. As the talk was developing, the issue of creating a Cypriot identity arose from two different questions among the audience. The first question was raising concerns on a possible correlation between the indifference of the youth, regarding the problem with the absence of a unique Cypriot identity. The second question was more about on whether there should be a focus on creating bonds between the two communities before or after a solution. Mr. Eide along with other UN officials present at the event pointed out that confidence has been built up to an extent, thus what is left now is head towards a solution. The construction of an identity and the creation of close bonds is something that can occur during the process according to them. 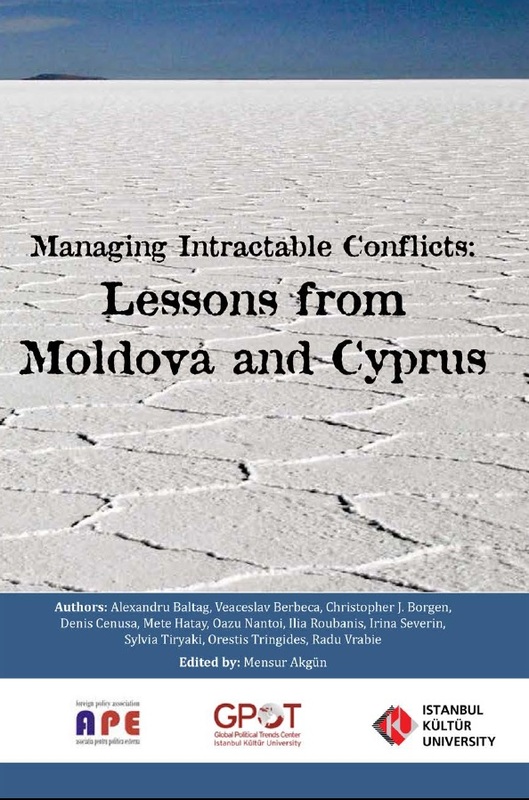 As a question arose from an Irish member of the audience, mr. Eide made a comparison of the Cyprus problem to that of Northern Ireland, noting that everything was created during the process of achieving a solution and in fact the greatest part of peace building took place after both sides reached an agreement. It sounds more or less as the infinite question of what came first, the chicken or the egg. Undoubtedly, UN officials know their job and they certainly have a point. However in a country where 48% of Greek Cypriots and 88% of Turkish Cypriots are identifying themselves first as Cypriots and with the term ‘Cypriot’ being identified with ethno-national characteristics, something is missing. First of all, even the statistics presented belong to one of the very few surveys that have been held over the years. This shows clear lack of understanding of the nature of the problem from all the sides. Of course this brings us to an even deeper issue of who is responsible to define what a ‘Cypriot’ is, however in the case of our island, working on the construction of a common identity is essential to make a possible solution work. Although it is our leaders who are going to create a solution, if people are not firm about it, it will simply collapse. Lastly mr. Eide referred to the process of certain confidence building measures such as common telecommunication and electricity system which will be implemented very soon after some technical issues are solved. In general the impression that was left in the room by mr. Eide was a very positive one that gave inspiration to all of us present in the room to look towards the future with hope. It wouldn’t be right to finish this article without acknowledging that indeed great progress has been done. However it is important for everyone to realise that important parameters were always missing from the negotiation process and they need to be implemented if a solution is to be agreed soon. These are first making ourselves –especially the youth- to recognise that everyone has suffered, that both sides have done mistakes and we should do nothing less than get over it. Secondly, for the first time there should be a serious effort made not only by the people but by the authorities themselves to establish a common Cypriot identity, because this will be the basis of any kind of solution. Ralph Elison, an American novelist ‘when I discover who I am, I’ll be free’. Let’s hope that that shall be the faith of Cypriots. Over 560,000 citizens from 194 countries have already voted for the issues that would make the most difference to their lives, providing, for the first time ever, real-time and real-world intelligence on what people think about the biggest challenges facing them and their families. MY World, the United Nations global survey for a better world is a groundbreaking initiative inviting citizens to virtually take their seat at the UN and participate in the global conversation on the next development agenda by voting in an option-based survey. Initial results from this survey have been released this week as the UN Secretary-General’s High Level Panel for the post-2015 dialogue meets in New York to submit their recommendations on the future international development agenda. To date, 57% of the votes have been collected offline, 35% though the website and around the 8% have come through mobile phone. ‘Crowdsourcing’ the future development agenda. MY World demonstrates the UN’s commitment to an open and inclusive dialogue on the post-2015 agenda and harnessing the full power of technology and social media. MY World is supported by over 400 civil society organizations, youth groups, faith organizations, corporations and global personalities. “We are getting a rich mix of data that is generating important information not only on global priorities, but also how these differ by characteristics: gender, age, location and education level. So far there seems to be a strong overlap of priorities among regions. Education, health, water, food, “an honest and responsive government” and “protection against crime and violence” feature amongst the top ten for every region of the world”– said Claire Melamed, from the Overseas Development Institute. What are global citizens saying? Participants in MY World are asked to select which six out of sixteen issues are most important for them and their families. Results to date reveal that voters’ top three priorities are “a good education”, “better healthcare” and “an honest and responsive government”. “Access to water and sanitation” and “nutritious and affordable food” are also perceived by people as being of key importance to improving their lives. Citizens voting predominantly for health and education reveal the continuing relevance of the Millennium Development Goals (MDGs) which recently observed the 1000 day milestone to their 2015 target date. MY World represents an entry point for people to build on MDG achievements and help define an ambitious development agenda after 2015 that has poverty eradication and sustainable development at its core. However, results also indicate that people are pointing to new issues to be addressed, such as “an honest and responsive government”, “better job opportunities” and “protection against crime and violence”, which also rank within the top seven priorities. Until 2015, the UN and partners continue to invite men and women everywhere to vote in MY World and contribute to shaping a better world together. You can view the results to date as well as the raw open data. For more information, please contact Amalia Navarro, amalia.navarro@undp.org +34 91 788 53 77, Anna Ortubia, anna.ortubia@undp.org +34 609108176 or Stanislav Saling stanislav.saling@undp.org +1 646 781 4077. 3 May is marked around the world as a day of celebration of press freedom. Since the United Nations General Assembly proclaimed this date as World Press Freedom Day in 1993, it has become a day to reflect on and evaluate the state of press freedom in our own countries and around the world, as well as to remind ourselves of the need to defend journalists and media professionals from attacks on their work and independence. In Cyprus the rights of journalists to exercise their profession freely are still not fully guaranteed. Back in February 2011, the Turkish-language Afrika newspaper – which maintains a highly critical stance of affairs in the northern part of Cyprus – and its editor-in-chief Sener Levent were threatened by an armed gunman at the newspaper’s premises. In July that year Levent’s colleague Ali Osman was also attacked at gunpoint. 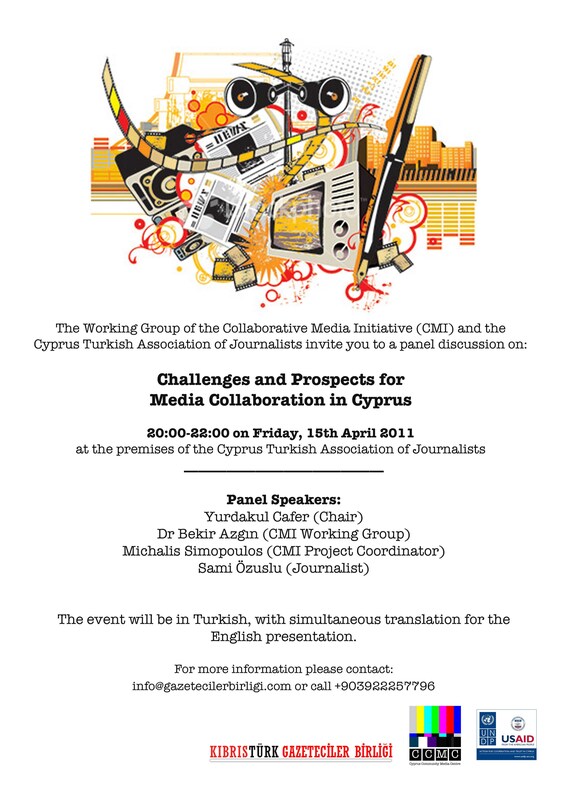 In fact 2011 was a particularly difficult year for Turkish Cypriot journalists. Mutlu Esendemir, the news editor of the Kanal T and a reporter for Kibris newspaper, was injured following the explosion of a bomb placed under his car, while Cenk Mutluyakali, the editor-in-chief of Yeniduzen newspaper, was also threatened. These are the last recorded incidents of direct threats against the lives of Cypriot journalists, but they remain a chilling reminder that in our divided country threats to the freedom of the press continue to exist. At the time of the attack on Levent his Greek Cypriot colleagues from the Union of Cyprus Journalists (UCJ) crossed the Green Line to show their support and solidarity. The UCJ has mobilised support for Levent on several occasions before the opening of the crossing-points when he was imprisoned for his and his newspaper’s writings. As welcome as this move was, it remains one of the few public gestures of good will between journalists across the divide in Cyprus. Unfortunately professional solidarity and collaboration between journalists remains politicised along the faultlines of the Cyprus Problem. It is clear that more needs to be done to strengthen the links between the media across the Cyprus divide. 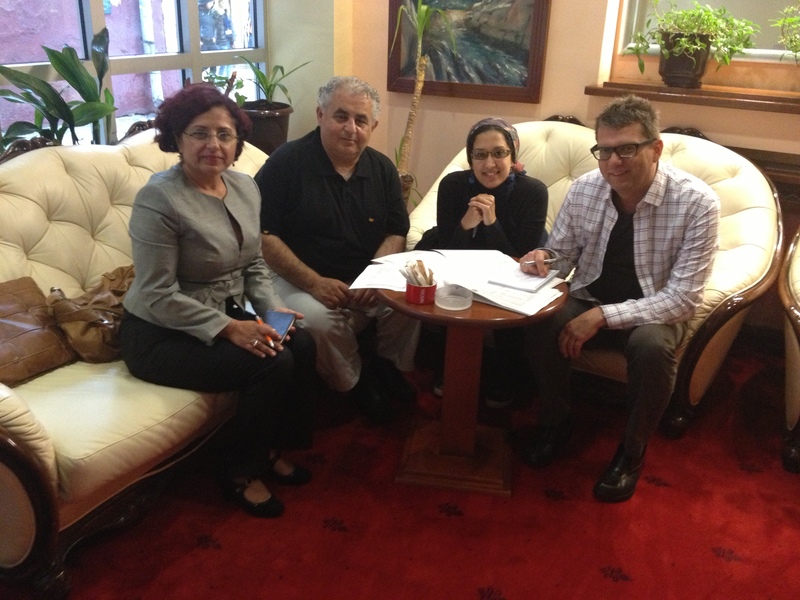 Over the last few years the UCJ has maintained sporadic contact with the Association of Turkish Cypriot Journalists, while dialogue with Basin Sen – their trade union counterpart – is limited to interaction within the frameworks established by the European Federation of Journalists, and remains tainted from past confrontations within the EFJ General Assembly. UNESCO sees 3 May as an occasion around which initiatives can be encouraged and developed in support of press freedom. At CCMC we also believe that World Press Freedom Day offers an ideal starting point for journalists across the divide to start to build an understanding and common framework of action around shared principles and values. It is also an opportunity to sensitise all Cypriots about the need for the rights of journalists to be guaranteed, and to inform them that in Cyprus those rights will not be fully safeguarded until a just and lasting settlement is agreed, and a demilitarisation of the island takes place. 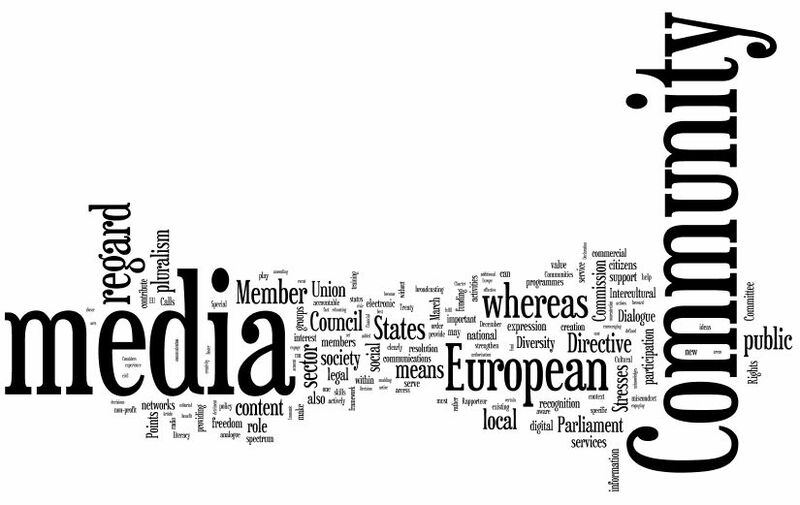 With the aim of kickstarting the dialogue to establish a framework for media collaboration in Cyprus, CCMC calls on all journalists’ organisations in Cyprus to attend the first meeting of the MEDIANE – Media in Europe for Diversity Inclusiveness programme, which will take place in Nicosia from 10-12 June, and to utilise this opportunity to build an action plan for the future.